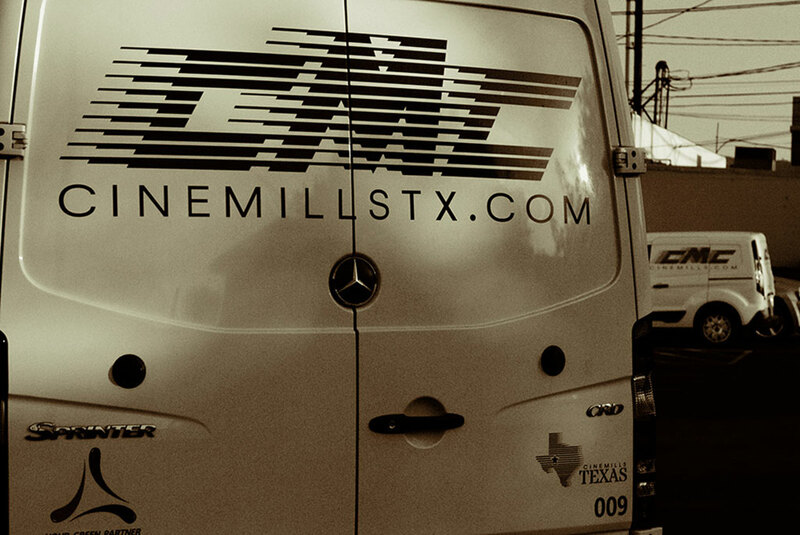 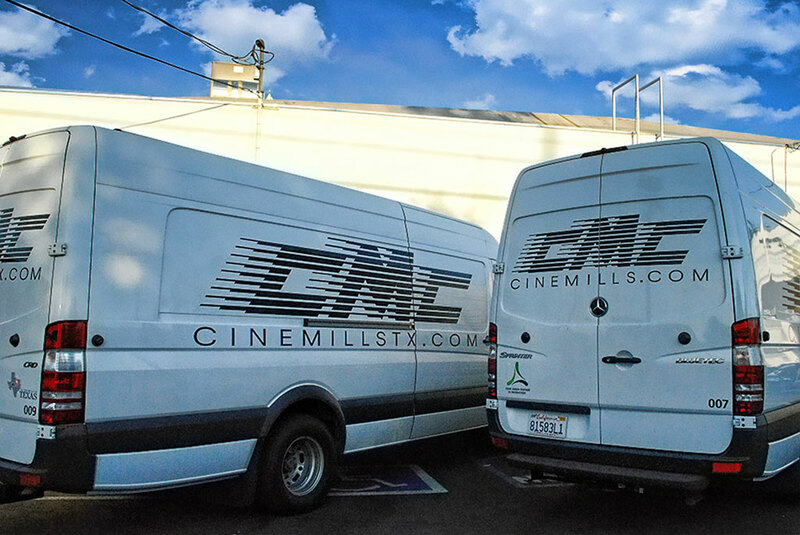 CINEMILLS TEXAS is your "Green Partner in Production." 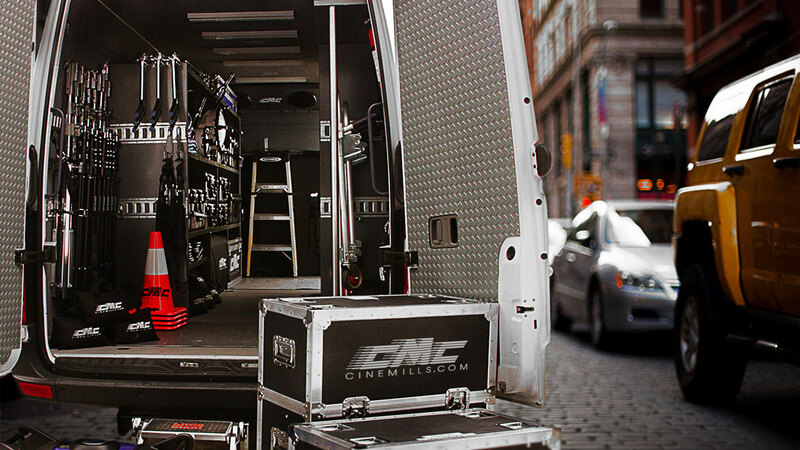 Now you can easily have state-of-the-art lighting and grip equipment at your fingertips on your next production. 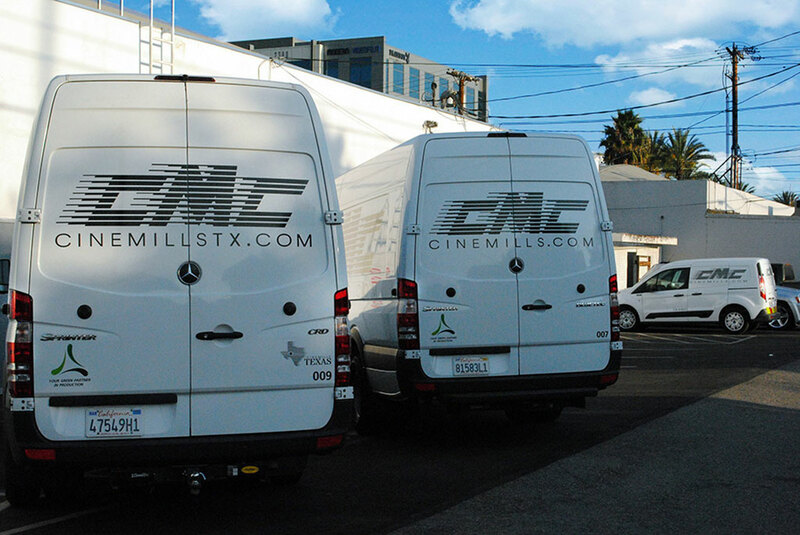 It is an exciting time at CINEMILLS TEXAS! 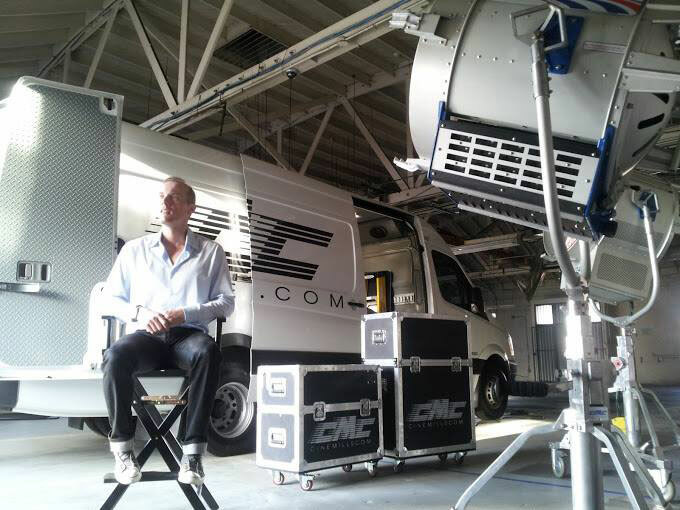 Industry demand for LED products and services has never been higher as more and more DP’s and Industry Professionals are requesting CMC products on their productions with confidence for their reliability, quality and performance. 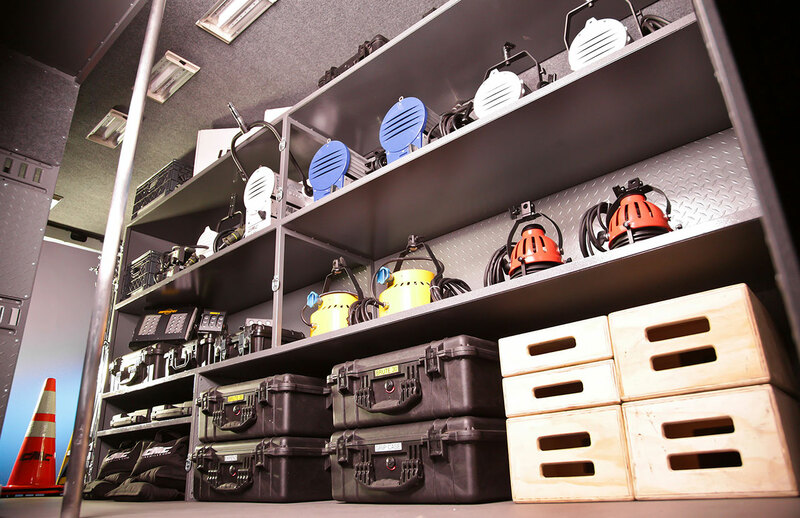 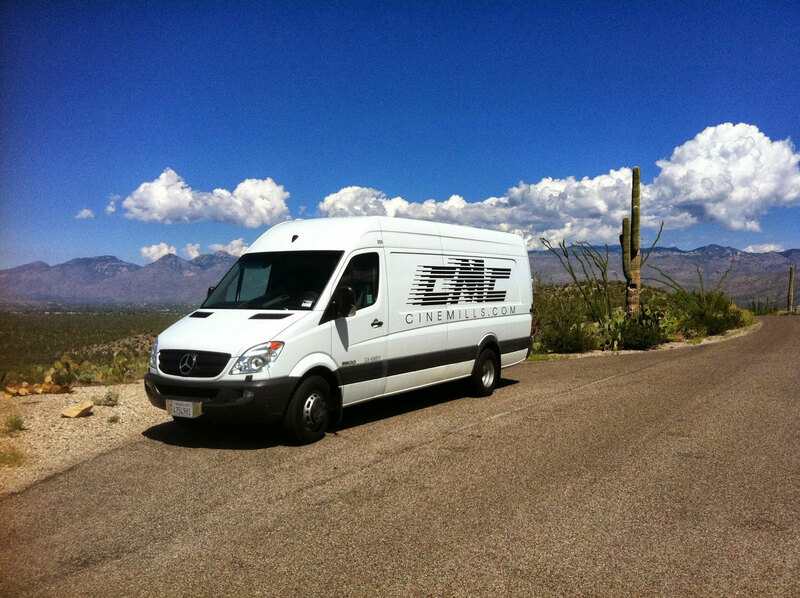 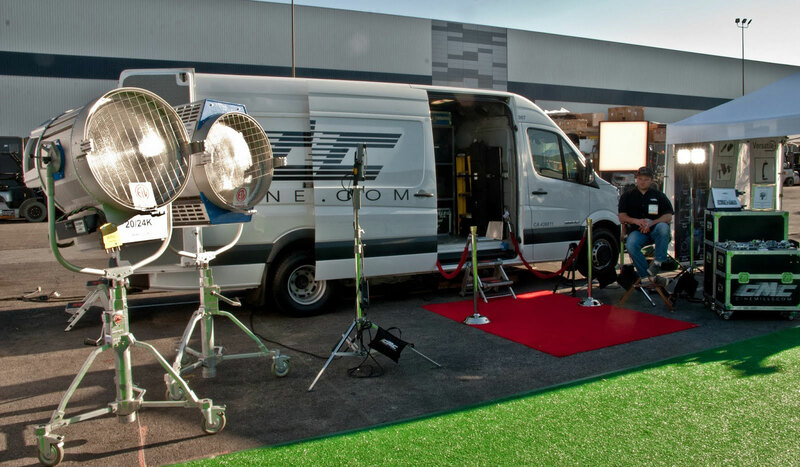 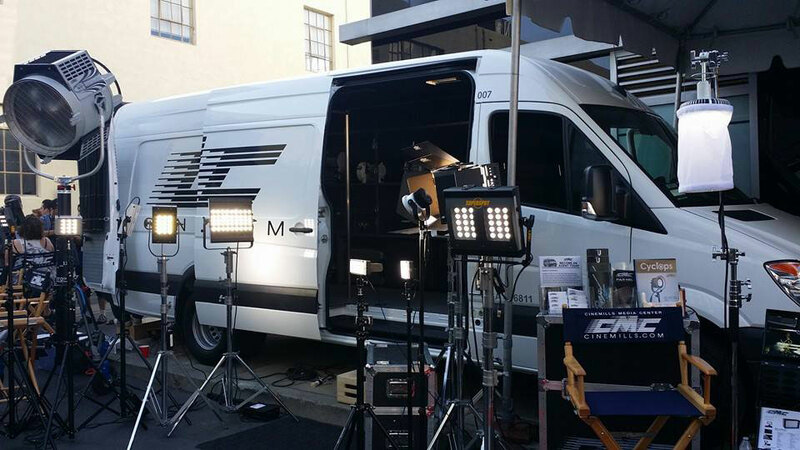 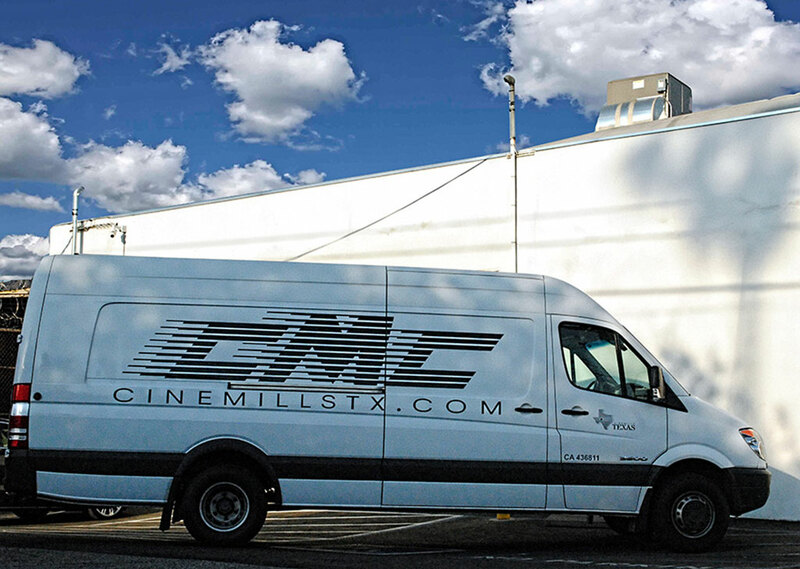 With more than 40 years of success in the film and television industry, our trained staff of lighting professionals will assist you in leasing your easy to use, energy efficient, independent film/video lighting package from CINEMILLS! 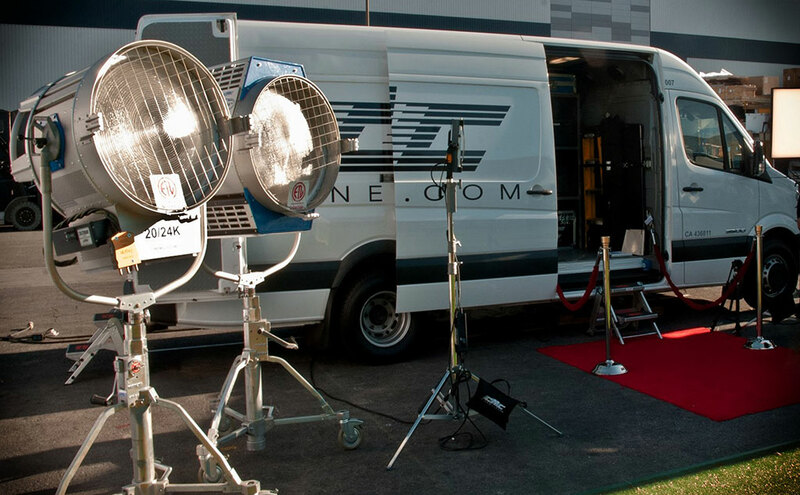 This feature contains an collection of Sprinter videos. 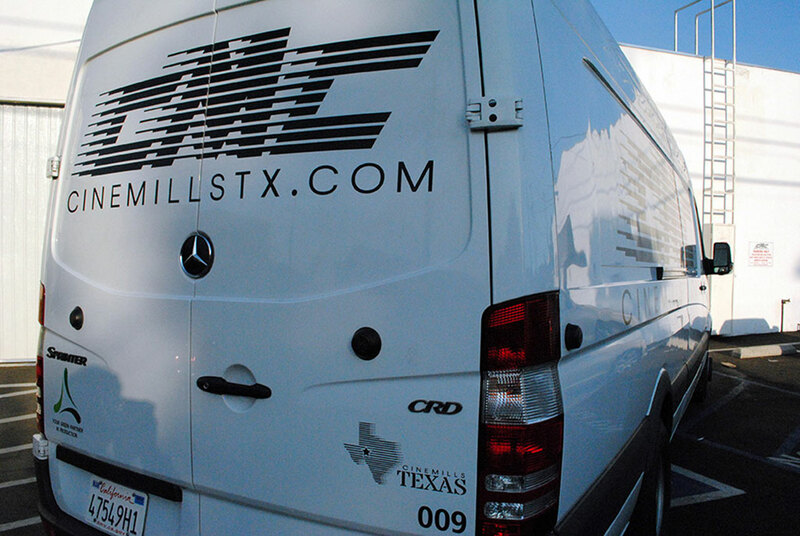 Your Sprinter Agency has no limits. 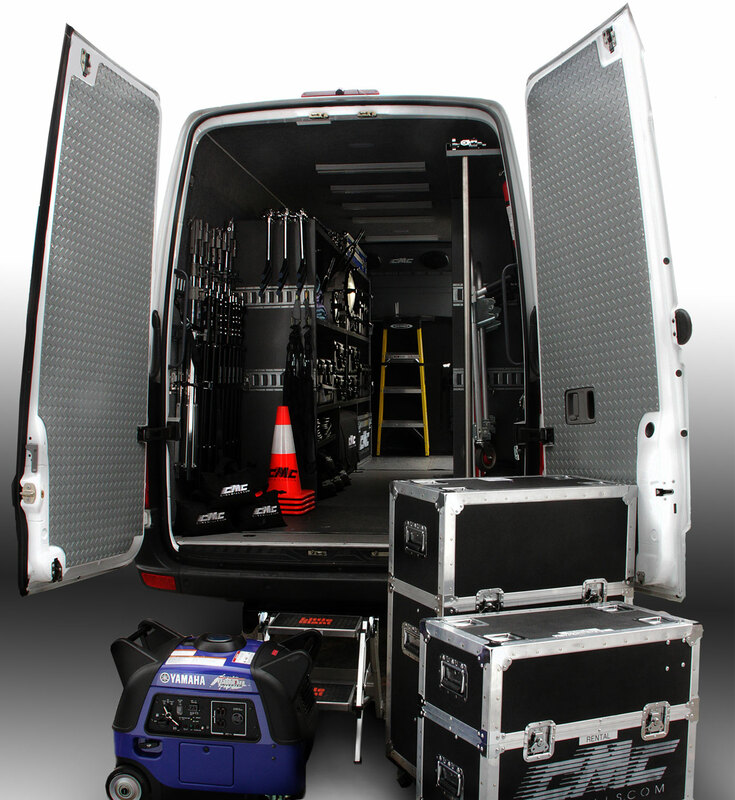 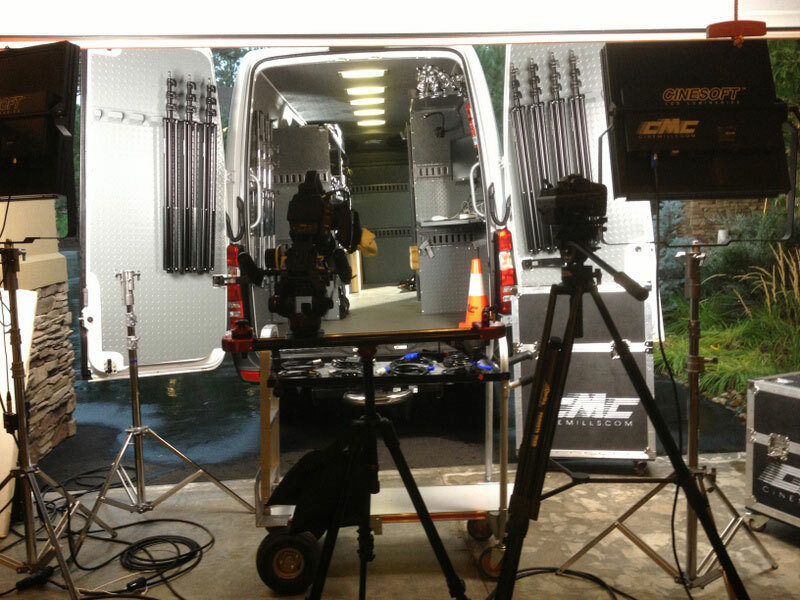 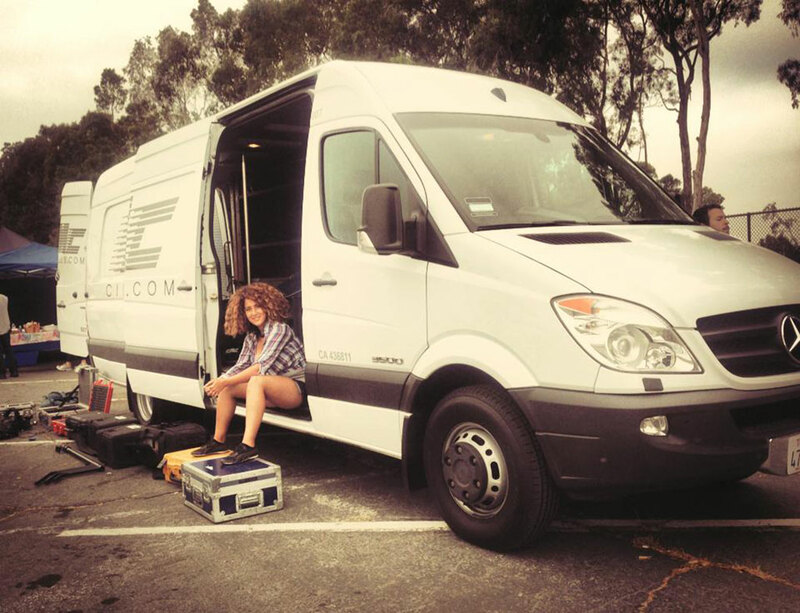 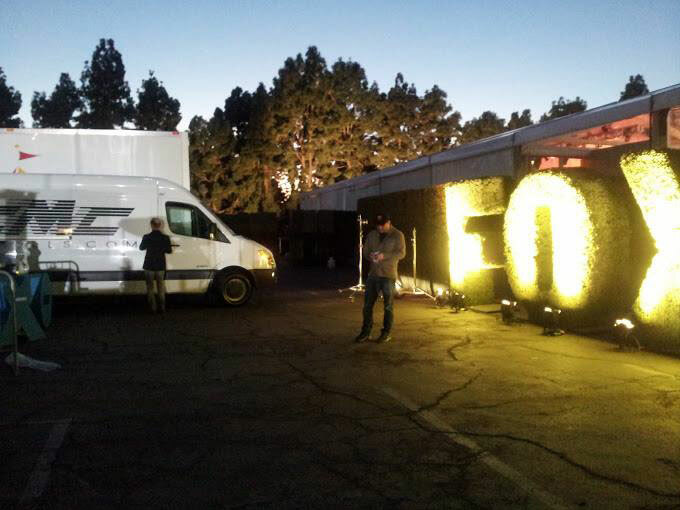 See us in action as your production gear is perfectly packed into our unbelievably agile Sprinter Production Vehicle. 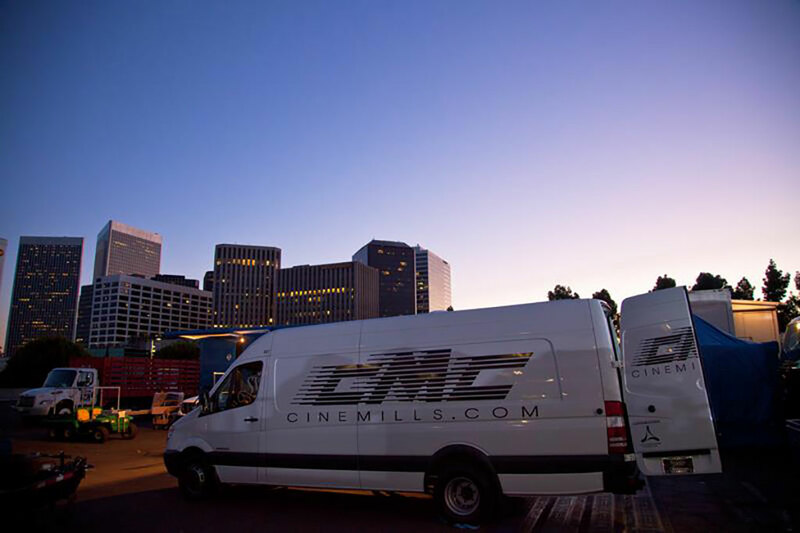 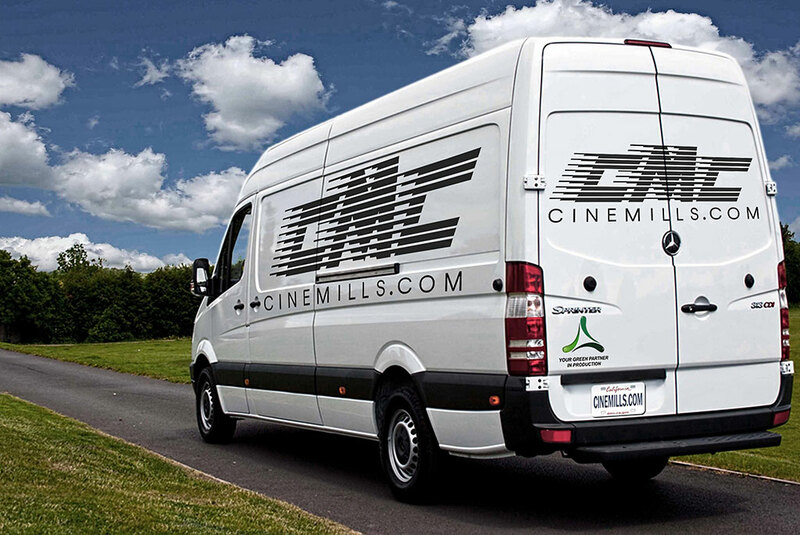 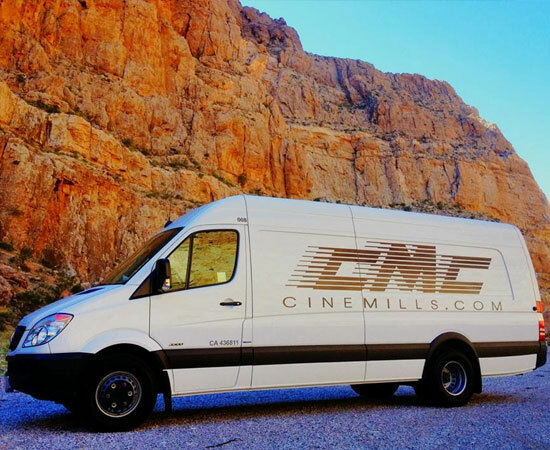 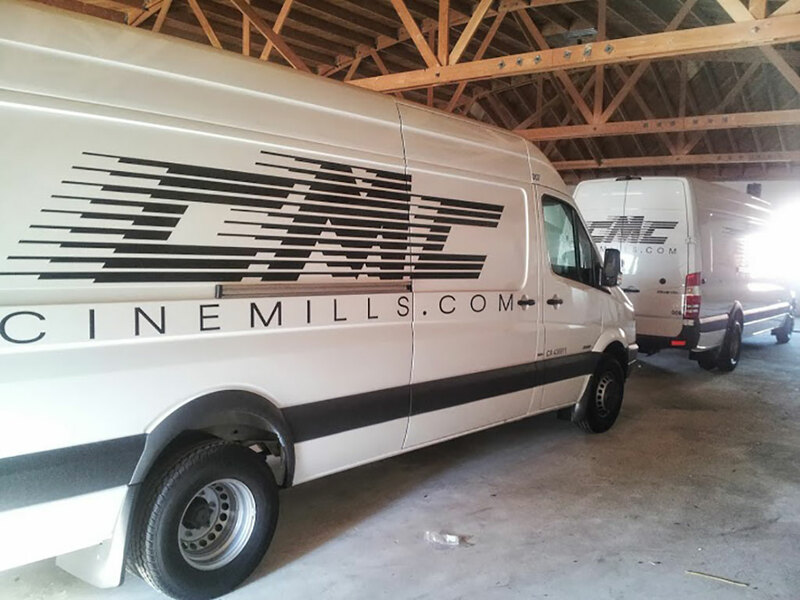 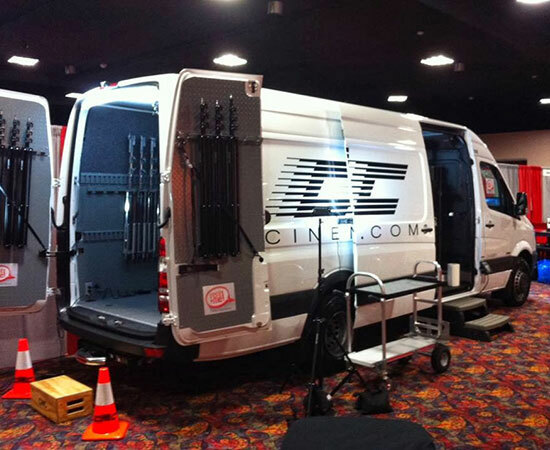 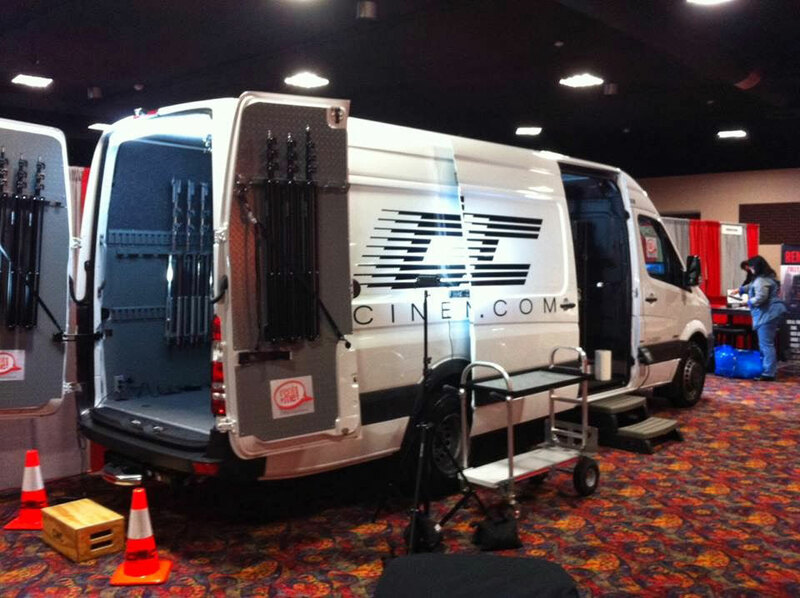 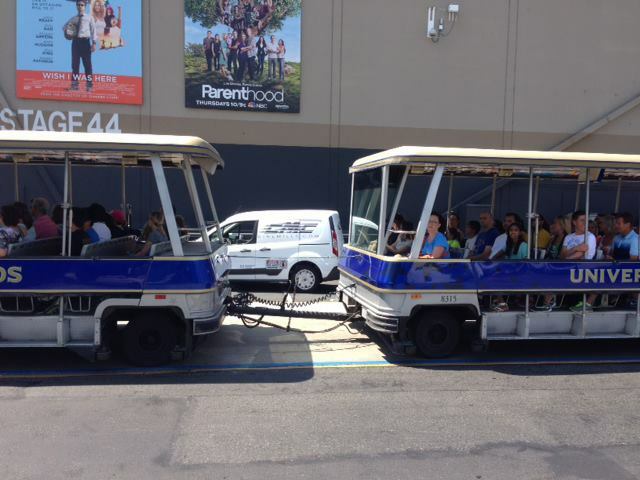 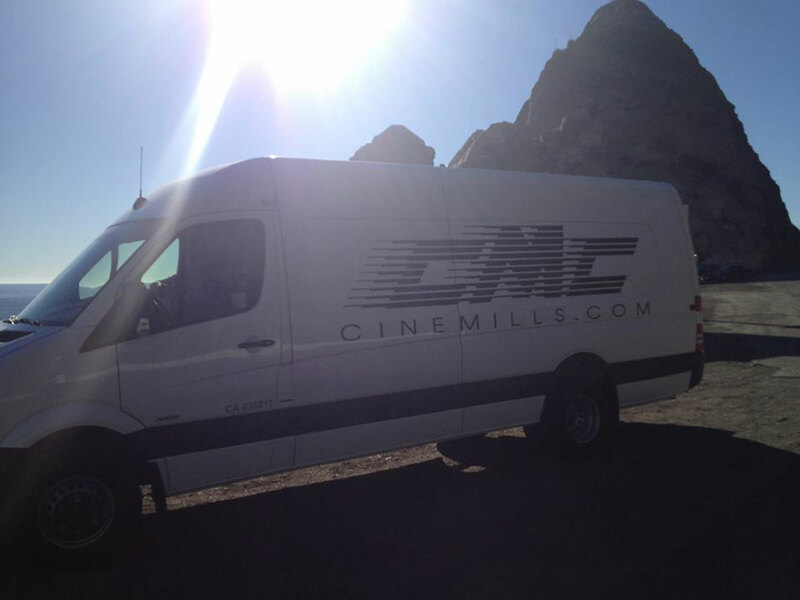 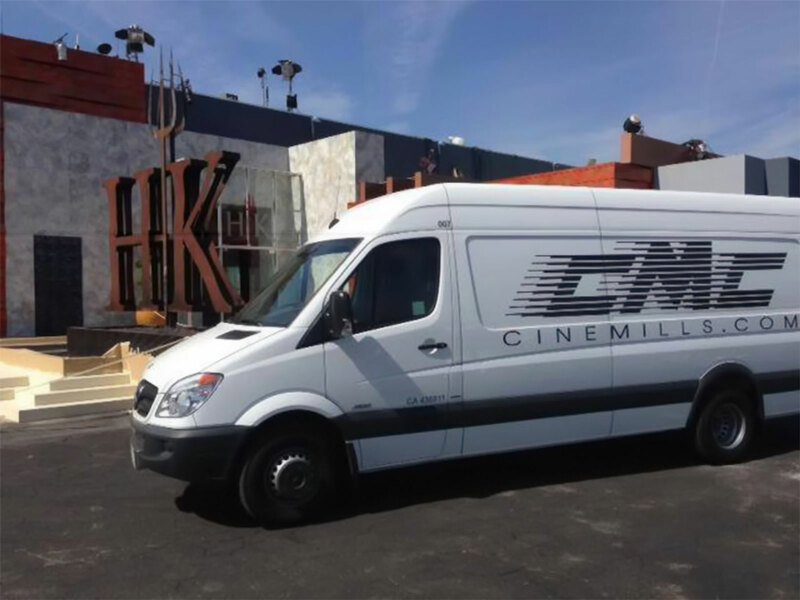 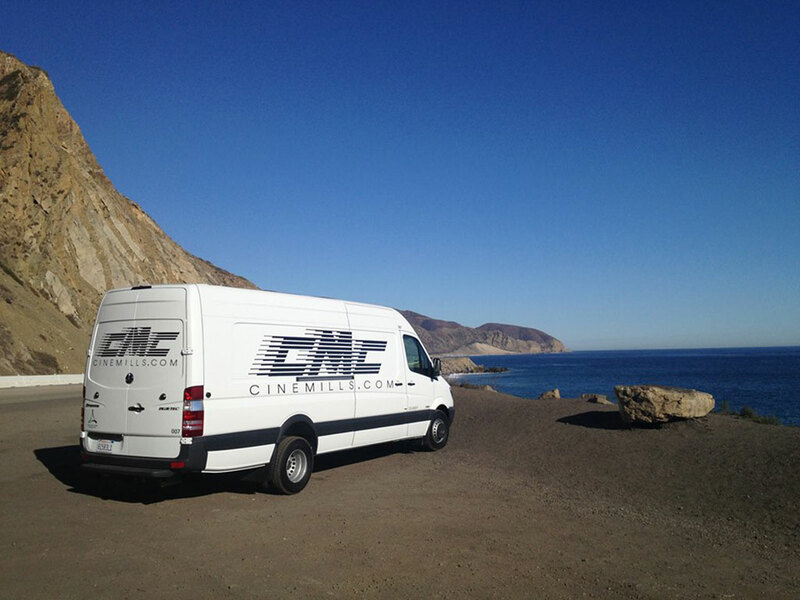 From film locations ranging from coastlines to very congested urban environments, the Cinemills Sprinter is the most efficient method of production gear transportation. 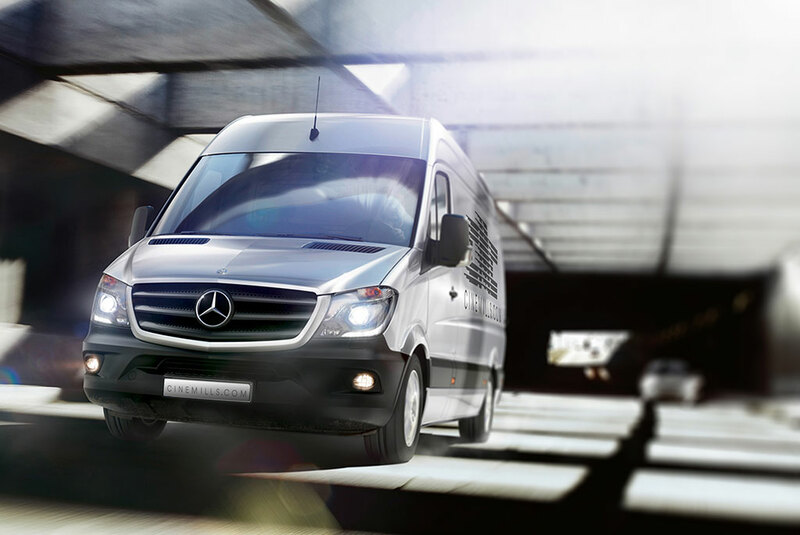 Take a Sprinter for a spin and see what great features can be yours. 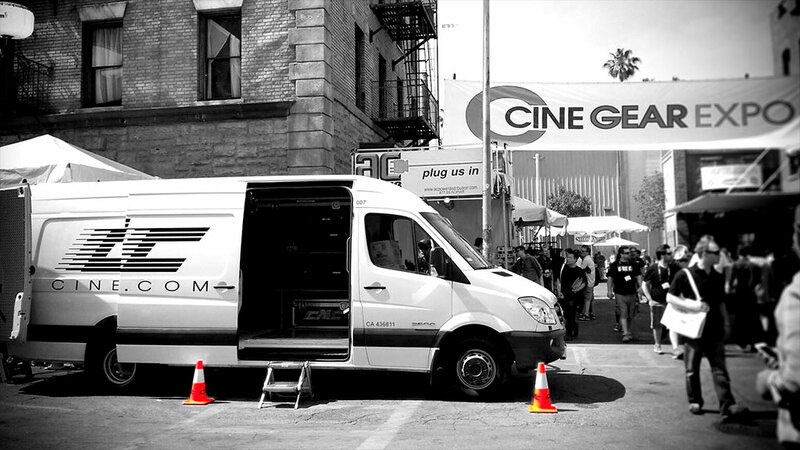 With plenty of room to grow, The Sprinter van gives you the space to meet your needs today, and the flexibility to take your business to the next level tomorrow. 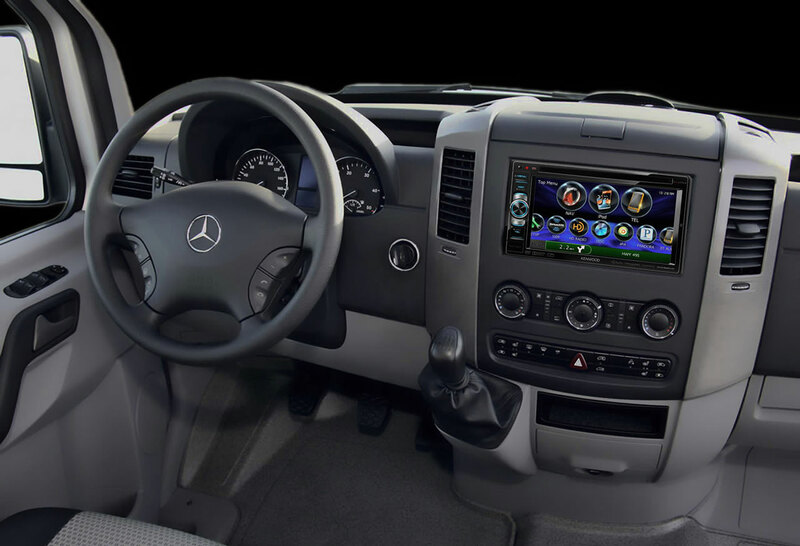 Length: 289.8", Width: 78.5", Height: 72.4"